Designing an effective fleet management solution isn’t easy. It’s important to focus on the bottom line without sacrificing service, response time and customer experience. 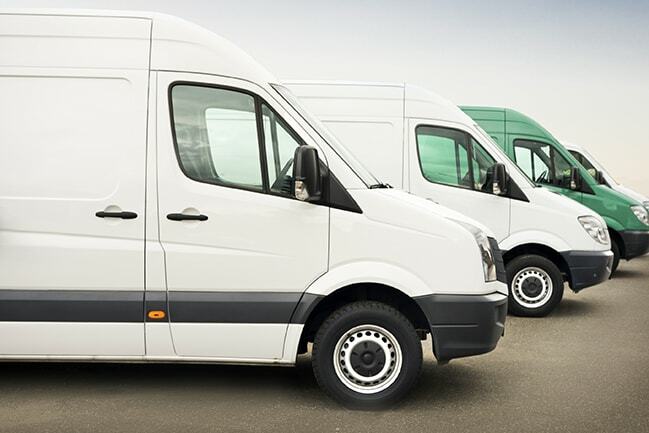 Organizations in numerous verticals grapple with complex fleet management issues every day. -Are my drivers operating safely, staying within authorized boundaries, and choosing efficient routes? -Are vehicles idling needlessly, under-utilized, or used for unauthorized purposes? -Which vehicles need maintenance soon to avoid costly repairs? -Which vehicles are closest to an urgent call that has just come in? -When is it time to cycle out my older vehicles? -Which vehicles are fuel economy outliers? Fortunately, CalAmp provides the tools to help you answer these questions and more. CalAmp’s flagship LMU-4230 supports a broad range of wireless connection options and comes equipped with either light or heavy duty vehicle interfaces to monitor vehicle status, location and driver behavior. CalAmp’s industry leading on-board alert engine, PEG™ (Programmable Event Generator) gives you access to this real-time information and lets you define rules that enable your application to take action when values exceed a threshold you specify. The LMU-4230 includes full set of fleet features with cellular, Wi-Fi, Bluetooth, and satellite connectivity options so you have tremendous flexibility in designing your solution. A 3-axis accelerometer lets you detect and act on hard braking, aggressive acceleration, or vehicle impacts. The optional jPOD™ ECU (Engine Control Unit) interface reads and transmits heavy-duty engine condition and performance data such as engine temperature along with the fault codes to provide the best possible real-time picture of vehicle health. For more information, check out the LMU-4230 datasheet.